The Hyena, situated on Fellside and hidden amongst the maze of backstreets that makes up the area to the West of Highgate, was one of Kendal's smallest inns....challenging the Ring O'bells for the honour of the most bijou hostelry in town! Above. The Hyena Inn, pre 1966. Records show that the Hyena was open for business from sometime before 1834...it was sold at this time and described as "all that newly-erected inn known by the sign of the Hyena". Above. The Hyena Inn in 2010.
Business continued at the Hyena, known affectionately amongst its regulars, as the 'Tina', until 1966, when the landlord of the day, Martin Dawson, decided it was time to close the doors for good. 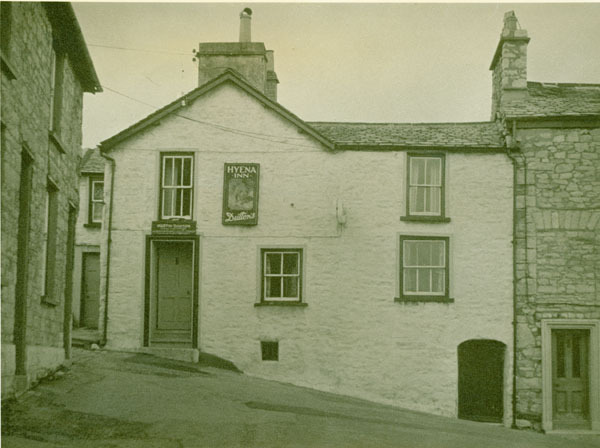 At the time of its closure, Kendal could boast 33 inns, though with the closure of the Hyena, the number of drinking establishments in Kendal was reduced to 32. 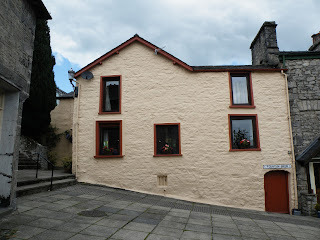 The building, now a cottage, has survived the building clearances of the 1960s and a great deal of development in the area....another old inn that has managed to survive.